With most car insurance premiums, you cannot control the amount you pay. 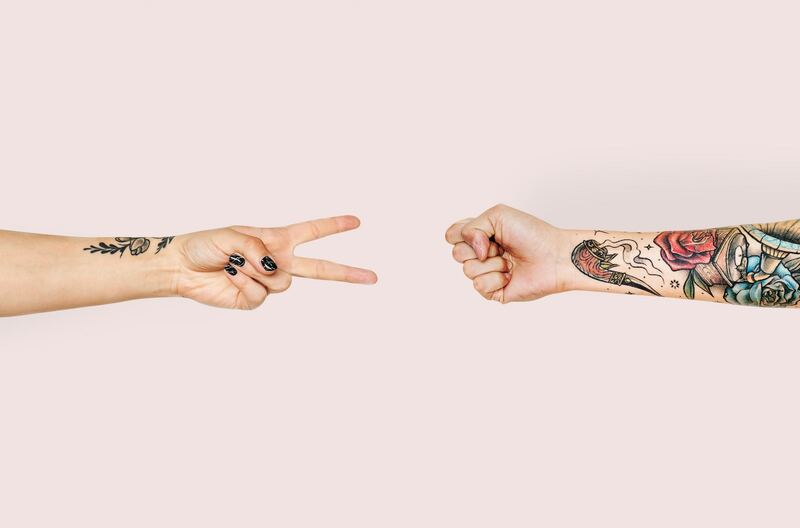 You get a quote and cross your fingers, hoping that your bill won’t break the bank. Even if it does, you still have no choice but to pay it, because car insurance is non-negotiable… right? Here at Metromile, we do things a little differently. Instead of paying a flat fee, your monthly car insurance bill varies and is based on two simple things: your monthly base rate + the pennies-per-mile you pay. That’s it – and it’s all within your control. Want to learn how to become the master of your monthly bill? Right this way – follow us. We get it – figuring out a mileage budget can be stressful, time-consuming, and maybe a little unpleasant. After all, it can be easier to hop into the car and drive anywhere your heart desires without thinking about the slowly ticking odometer. Maybe you have a strict monthly budget you need to stick to. Maybe you don’t want to have a bill that fluctuates from month-to-month. If your ultimate goal is to take control of your financial future, the first thing to check off your list is creating your monthly mileage budget. First, on a spreadsheet (or even just a plain ol’ piece of paper), create two columns. In the first column, write down your monthly Metromile base rate. This is the rate that you would be responsible for paying even if you drove zero miles. 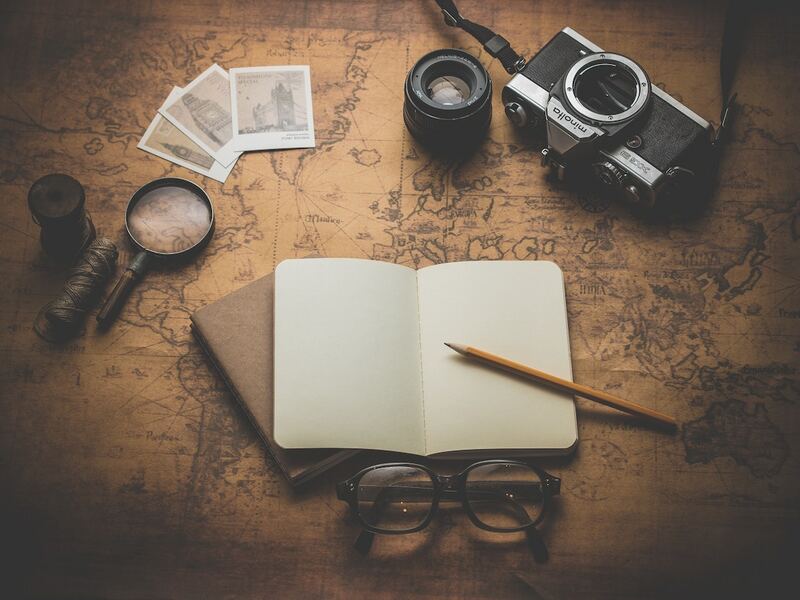 In the second column, write down the estimated mileage for every destination you need to drive to in a month. For example, if you drive to and from your job, estimate your daily mileage and multiply it by 20 (the number of working days in a month). If you drive to and from church on Sunday, estimate that mileage and multiply by 4. Keep doing this until you have a fairly good estimate of the miles that you consistently drive each month. 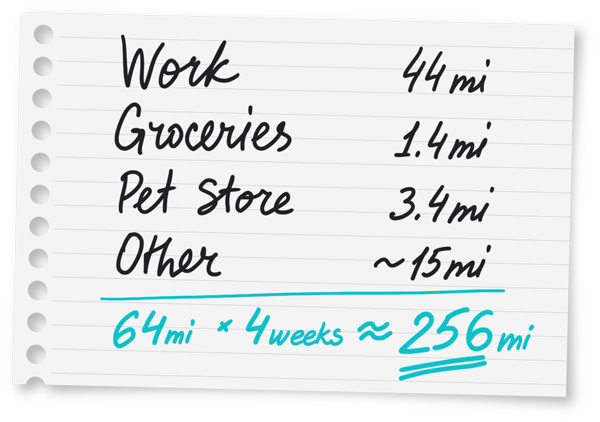 Once you have your estimated monthly mileage, multiply that number by your per-mile rate. Add the number you just calculated to your monthly base rate in the first column and voilà! You have successfully estimated the cost of your monthly Metromile bill. If the number you calculated is looking a little bit higher than you’d like it to be, try to brainstorm ways to cut down on the number of miles that you drive each month, like Brian D. did. In December, Brian drove 730.1 miles, mostly shopping for presents and visiting his family in Southern California for the Holidays. The following months, he didn’t drive much, but in March, his monthly mileage peaked at 682.5 miles, which included a 3-day weekend trip to the wine country with friends. He also regularly checks the Metromile app to know how much he owes at one point in time. All of these seemingly insignificant things can really add up to a lot of extra miles driven at the end of the month! 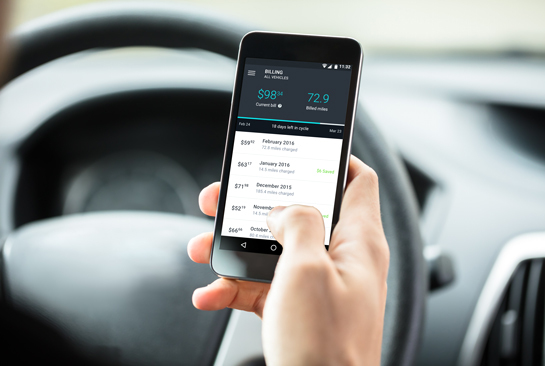 These options to reduce your monthly mileage may help save you hundreds at the end of the year, and some are probably why you’ve decided to switch to Metromile in the first place. 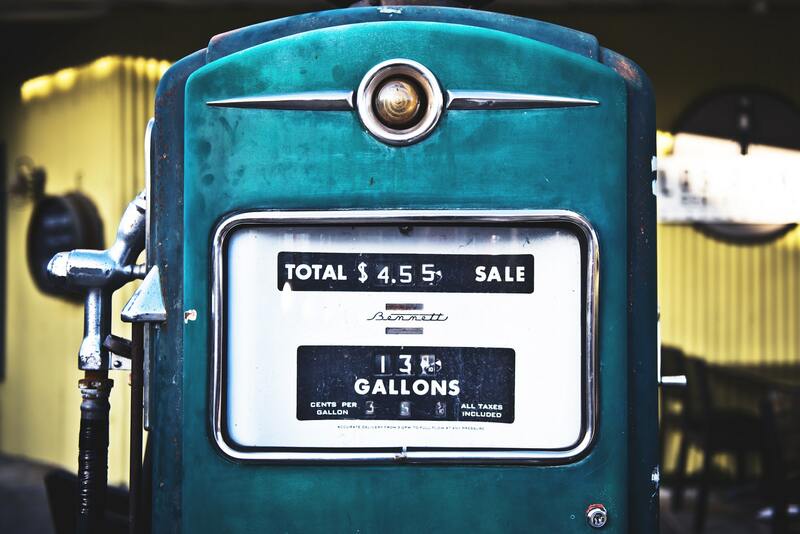 As a bonus, the fewer miles you drive, the less you’ll have to spend on gas each month. That’s a win-win in our book. Congratulations! You are now the proud owner of a mileage budget and (most likely) a lower monthly car insurance bill. Well done! By implementing these tips and strategies, you were able to lower your monthly insurance bill to fit within your budget. As with all things in life, the fine art of budgeting takes a bit of time and skill – but you’re well on your way to a healthy financial future. This exercise is also helpful for prospective Metromile customers, and something that we already take into account when offering a free quote. As always, whether you’re a current Metromile customer or are thinking about making the switch, we want to hear from you! Drop us a line and let us know how we can help. Be safe out there and see you on the roads! Here at Metromile, we hear a lot of questions about our initial prepayment to sign up for Metromile. We also truly value transparency and don’t wish to confuse any of our customers. 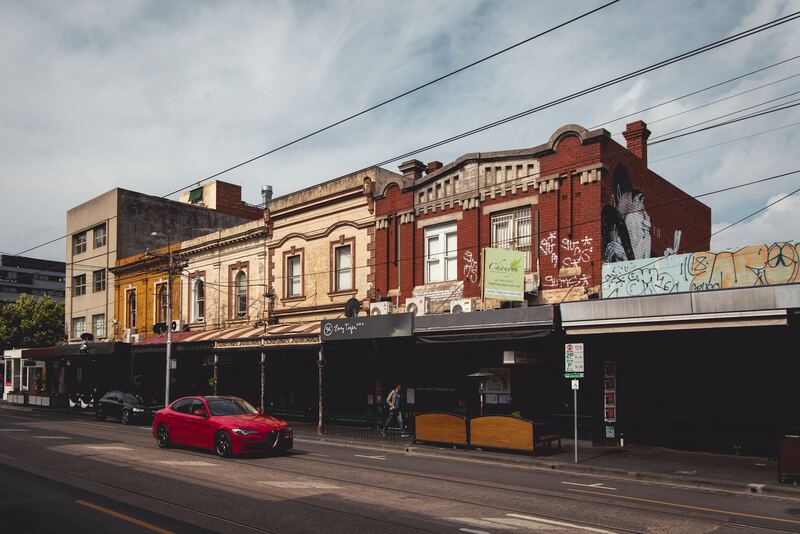 The way we work is a little different than traditional auto insurance companies, so that’s why we are here to clear up any confusion about how prepayment works. One of the key differentiators between Metromile and traditional insurance carriers is our unique billing model. The short explanation is: the less you drive, the less you pay each month. The Metromile billing structure gives you – the customer – the unique opportunity to always be in control of your monthly bill. This means that you can tailor your bill to fit your budget and your lifestyle. Pretty cool, huh? So, herein lies the confusion: if your bill varies each month based on how much you drive, how is it possible to prepay for many months at a time? Let’s throw it all the way back and chat about how billing works here at Metromile before diving into the explanation. 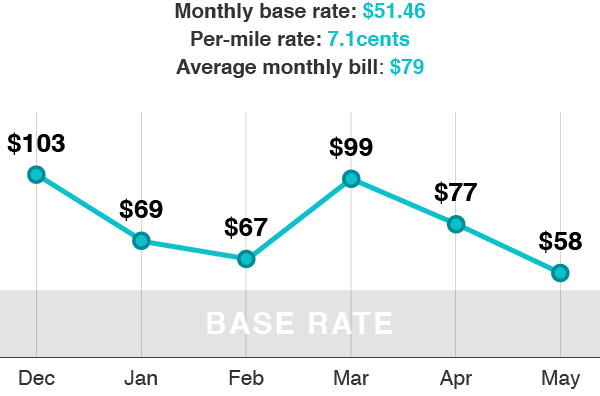 When you first purchase your Metromile policy, you are charged for your first month’s base rate. This is because we don’t have any data on how many miles you drove that month. Then, at the end of the first month, you’re charged for the next month’s base rate + any/all miles you drove the previous month, at your per-mile rate. Autopay is a requirement for all Metromile customers. If there ever comes a time when you need to update your billing info, it’s not a problem. You can always update your billing information from your online dashboard or app at any time. Simply navigate to ‘Billing’ and then select ‘Edit’ in the ‘Payment Method’ section on the right-hand side of the page to edit your payment information. A special note for all you New Jersey customers: you exceptional folks may opt-out of autopayments and opt-in for manual billing at any time by calling us at 888-244-1702. I know, I know. I needed to make sure you understood how the billing process worked before I did! Now onto the good stuff – promise. Because we charge for insurance based on mileage, Metromile requires a one-time, upfront payment to start a new policy – and this is called a prepayment. A percentage of your prepayment will be applied as a credit to each of your first five billing statements – which means that your first five bills will be slightly lower. When you receive your sixth bill, the prepayment credit will have been fully spent, so you will no longer see a credit. You can think of your prepayment as a “security deposit” on your insurance policy. In the event of a cancellation in the first six months of having the policy, we will refund any remaining prepayment credit. 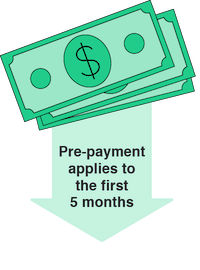 Prepayment is only a requirement for your first policy term, the credit is applied to your first five monthly bills. After six months your policy will renew, and no future prepayment will be charged or applied to your policy. Your monthly bill will be made up of your low monthly base rate + (per-mile rate x miles driven that month) – (prepayment amount ÷ 5) until your sixth bill. From there on out your bill will be calculated by taking your base rate, and adding it to your per-mile rate, multiplied by the number of miles driven that month. Hopefully, that helped to clear up any questions or confusion that you had about how prepayment works at Metromile. Still have questions? Visit the Metromile Help Center to find answers to some of the most common questions and answers. Now that you fully understand how prepayment works, it is a perfect time to finally get that quote you’ve been thinking about. As always, we are truly here to serve you, so please email, call, Tweet, or DM us with your burning questions. We’ll get you answers as soon as we can. Be safe out there and see you on the roads! I consider myself somewhat of an expert on cutting costs. 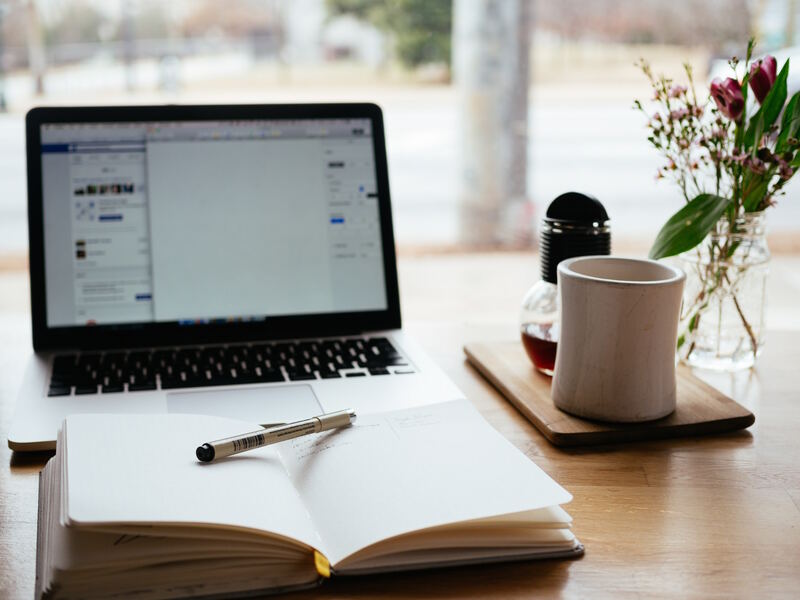 I don’t like paying for things I don’t use (who does), and I find myself frequently combing through my own finances to find ways to trim down those recurring expenses. However, there are always a few things that slip through the cracks unnoticed, like the quarterly membership to a gym I haven’t been to since I moved, the wine club I swear I unsubscribed to, and the magazines that mysteriously keep getting renewed every year. Here at Metromile, we’re all about saving money. We want our customers to only pay their fair share for the things that they use. 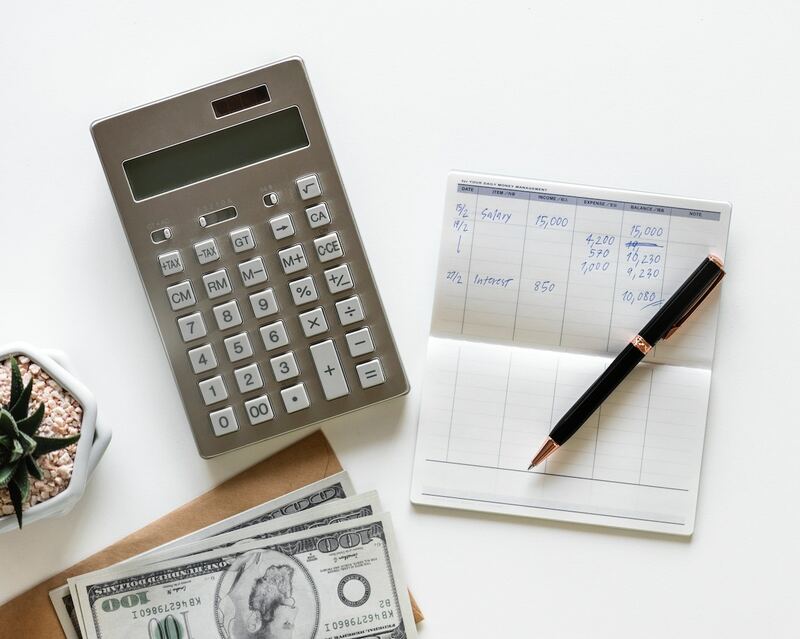 Your monthly expenses don’t have to wreck your budget, so we’ve rounded up our best tips on cutting down your most expensive bills and making the most from your monthly budget. Buh-bye, overpriced cell phone bill. See ya never, streaming service I used once and then forgot about. Let’s get into it. Cable TV: With the abundance of shows and movies available on streaming services like Netflix, Hulu, HBO Go, and Showtime, who even watches cable TV anymore? What’s truly crazy is that the average cable bill rings in at about $80/month! Save yourself some major dough and cut the cord with your cable TV bill – because you probably won’t even miss it when it’s gone. Cell Phone Plan: Besides your rent or your mortgage payment, your cell phone plan might be one of the most expensive bills you’re locked in to pay each month. But it doesn’t have to be. Many cell phone carriers offer less expensive plans with no long-term contracts. Also, apps like Hiatus will negotiate a lower monthly cell phone bill with your provider on your behalf, saving you money and time. Car Insurance: Wait, are you telling me that you’re a low-mileage driver and still paying the same insurance premium as someone who drives 3x more than you? Hold up, that just isn’t right. 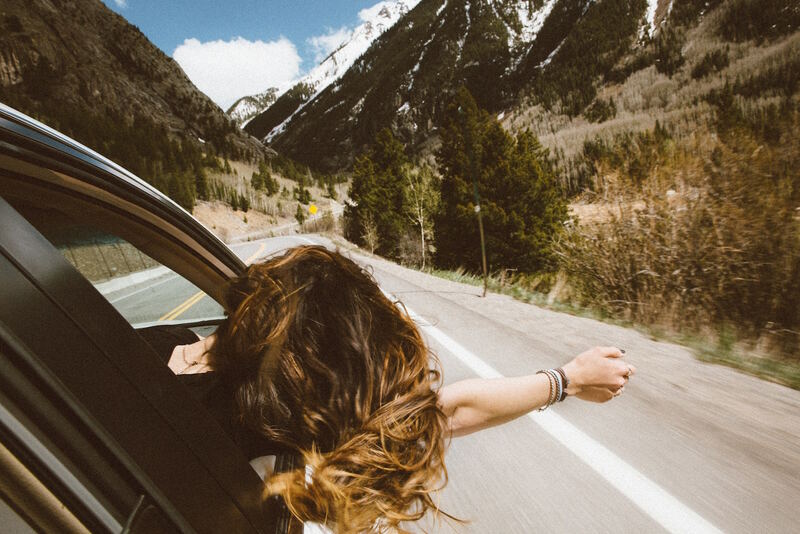 If you find yourself driving under 1,000 miles every month, you’re most likely a low-mileage driver who could literally be saving hundreds of dollars every year by switching to Metromile. Same great coverage for less money – what’s not to love? Dining out: What starts as a dinner here and a drink there can quickly cascade into delivered lunches every day and happy hour every week. Even if you hate cooking, it pays to research some easy-to-make meals. Go grocery shopping and prepare large batches of food to eat throughout the week and never pay for overpriced Seamless delivery again. Recurring subscriptions: I know, I know – getting a package in the mail is fun and exciting. It’s like a present for you, from you, every month! YAY presents! However, when you sign up for subscription services like Birchbox, wine clubs, dog toy boxes, etc., it can really eat away at your bottom line. The next time your subscription package arrives, make note of how many of the items you will actually use/enjoy. You might be surprised to see that most of the time, those subscription boxes are filled with junk that just ends up cluttering your home. Cancel that recurring subscription, save the money, and enjoy a less-cluttered space. Prescriptions: Depending on your medication, the cost of prescriptions can take a huge bite out of your monthly budget. Consider switching to generic medications instead of brand-name prescriptions – they’re the bio-equivalent of brand-name drugs but can cost 80-85% less. Apps like GoodRx, LowestMed, and BlinkHealth can also help you determine the lowest prices of medications at your nearby pharmacies. Also, if your job offers an FSA or HSA account, utilize that account to stockpile some pre-tax dollars to pay for your prescriptions and doctor’s appointments. Shopping & Entertainment: Whether retail therapy is your way to chill after a long day at work, or you like catching a new blockbuster every weekend (me), finding ways to trim down these indulgences will always be better for your bottom line. When shopping online, I always do a quick Google search to find promo codes and can usually root one out (Retailmenot is the best promo code aggregator). By signing up for loyalty programs at my local movie theater, I manage to always save on concessions or the price of tickets. There you have it. Are your wheels already turning thinking about which bill you’re going to slash first? Go forth and cut the cord with your biggest budget-busting bills with confidence. Besides, why should you be paying more than you need to for anything? Nowadays, there are so many ways to cut down your monthly costs. As always, get a quote with Metromile today and find out how much you’ll be saving each month! Be safe out there and see you on the roads.